Most Americans wanted no part of the struggle in Europe. They supported their country's official position -- neutrality. This desire was the main reason President Woodrow Wilson won re-election. People gave Wilson their votes because they hoped he would continue to keep America out of the war. MAURICE JOYCE: At the time of America's presidential election in nineteen sixteen, Germany seemed to be winning the war. Its losses were terrible. But the losses of its enemies -- The Allies -- were even worse. German forces occupied much of northern France and almost all of Belgium. 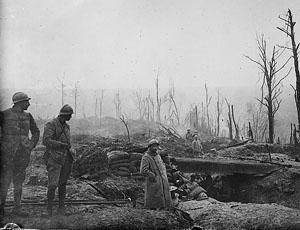 German and Austrian soldiers also held parts of Russia, Italy, Romania, and Serbia. Most American shipping companies feared attack by German submarines. Throughout the early part of nineteen seventeen, they kept their ships in home ports. They wanted protection. So they asked for permission to arm their ships. At first, President Wilson refused to seek such permission from Congress. He did not want to do anything that might cause Germany to declare war. Then he received secret news from Britain. British agents had gotten a copy of a telegram from Germany's foreign minister to Germany's ambassador in Mexico. The telegram said Germany was planning hostile acts against the United States. Wilson acted quickly. He began putting guns and sailors on American trade ships. LARRY WEST: It did not take long for the worst to happen. 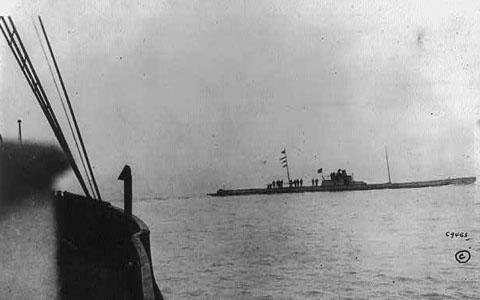 Within days, a German submarine sank an unarmed American ship, the Algonquin. Then three more American ships were sunk. Many lives were lost. MAURICE JOYCE: 'I fully understanding the serious step I am taking, I advise that the Congress declare the recent acts of the German government to be, in fact, nothing less than war against the United States. "It is a fearful thing to lead this great peaceful people into war. But right is more precious than peace. And we will fight for the things which we have always carried nearest our hearts -- for democracy, for the rights and liberties of small nations, and for the belief that a worldwide union of free people can bring peace and safety to all nations." LARRY WEST: President Wilson's emotional speech brought tears to the eyes of many of the lawmakers. They felt the great seriousness of his request. Outside, crowds lined the street to cheer Wilson as he returned to the White House from the Capitol Building. He sat in his car and shook his head sadly. "Think of what it is they are cheering," he said. "My message today was a message of death for our young men. How strange it seems they would cheer that." On April sixth, nineteen seventeen, Congress approved a declaration of war against Germany. MAURICE JOYCE: The Allies -- Britain, France and Russia -- welcomed American involvement. The war was going badly for them. It had been very costly in lives, money, and supplies. Allied shipping was suffering heavy losses from German submarine attacks. A British naval blockade had greatly reduced food shipments to Germany. Now, Britain itself faced dangerously low supplies of food. Allied representatives went to Washington to explain what The Allies needed. They needed supplies -- especially food -- immediately. They needed money to pay for the supplies. They needed ships to get the supplies from America to Europe. And they needed American soldiers. LARRY WEST: President Wilson and Congress worked together to organize the United States for war. 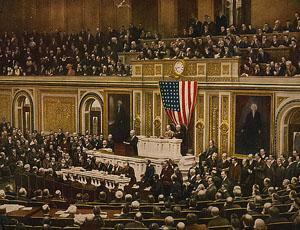 Congress gave Wilson new wartime powers. He soon formed a council to build ships, improve industrial production, and control national transportation. 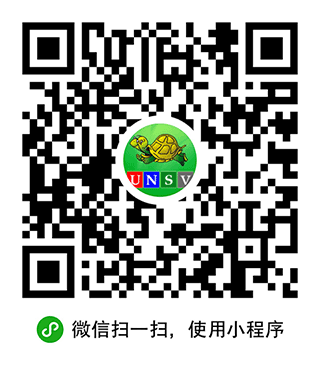 He formed an agricultural agency to increase food production and food exports. And he formed an information committee to build public support for the war. Wilson's efforts succeeded. The Allies quickly got the ships, supplies, and money they requested. Most important, they soon got American soldiers. MAURICE JOYCE: Allied military leaders said only about a half-million troops were needed from the United States. But American officials decided to build a much larger army. Before long, large numbers of American soldiers were crossing the Atlantic Ocean. They would fight the Germans at the western battlefronts of Europe. The extra strength they gave the Allies would play a major part in helping defeat Germany. That will be our story next week. BOB DOUGHTY: Our program was written by Frank Beardsley. The narrators were Larry West and Maurice Joyce.